Tú estás aquí: Inicio / Material de estudio / Form and Formless? Serves to better understand our daily training. Form is limitation, a necessary limitation, therefore ultimately we should be free of form. Being free of form mentally and physically will allow us to flow, adopt, and apply our techniques within any space, angle or instant in time, and from any starting position. With that said, if a beginner starts training without form, they will not likely learn to use the body effectively or develop good timing. Form is a vehicle to achieve no form, but with the principles and skills that allow one to be effective. Ultimately, we want to be like a child who’s mind and body are free from patterns, habits and preconceived idea, yet with the skills that make our techniques and timing effective. It is true with other knowledge as well, a child mind is free and unpatterned, but once the child learn and accumulate knowledge, they grow up to becomes less flexible and more dogmatic. The engineer that is creative and able to innovate, is the one who is able to have balance between knowledge and a mind that is free and formless like a child. I heard about interesting experiment, when preschoolers were asked to find as many uses as possible to paper clips, 98% of them perform at a level of genius, the same kids 2 years later, as they became more schooled and knowledgeble, became less creative and 2 years later even worst. The highest level martial artist is the one that digested the principles but keep a mind of a beginner or a child. Strict Form In karate we are very strict about precise form, especially at the novice level. The natural question arises, why are we so stubborn about precise form if it restricts you, a strict form cannot be adopted to changing spaces and time?. Of course, in reality, in real application one must be adaptable, and be able to apply techniques effectively in different ranges and angles, adapting to unexpected circumstances. 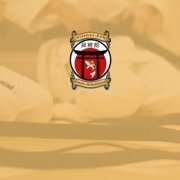 No one can use Age Uke or Gedan Barai in real sparring in the same way that we learn it in the basics, in fact, some beginner black belts with very good kata, will have hard time doing kumite, because they try to apply the techniques in a rigid way, like in the basic and kata. Best condition for the purpose, including stance, posture, technique trajectory, and line of energy which is included in the final form. For example, we say “attack from own center to opponent center, and in between movement do not show your center”. For blocking we say “protect your own center (don’t go after opponent’s technique)”, “minimize circle, think of a straight line with a curve, to create side line energy”. We also have a clear standard for certain technique. For example, in Age Uke, center of the wrist should be in line with center of head, and one fist forward and up from the forehead; the elbow should be at ear level and inside the body line. 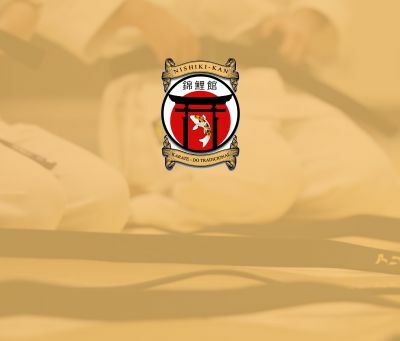 In Shuto Uke, the hand travels from the shoulder to the opposite shoulder line, elbow movement is minimal and elbow points down, when elbow stops it serves as a center of action to elbow extension, and forearm snap at the elbow. Why is precise form so important?. Remember that the purpose of karate technique, is to produce maximum force with least effort, and the whole body must cooperate to one purpose. If Age Uke is different every time in the basics, if our imagination, mental picture of what our body is doing, or our techniques are not matching, and if the purpose of what we are doing is not clear, it will be very hard to learn to use the whole body effectively for one purpose. The basic form is configured to give best condition of mechanical advantage, where it is easiest to learn and internalize principles such as proper sequencing, body dynamics, connection between all body segments, moving from optimal posture, breathing controls and matches technique. In basic form we perform techniques in biggest functional range, which improves our resilience to injuries and allow us to develop control of power through the full range, and from there we can more easily develop power in shorter ranges. The ultimate, No Form, not sloppy, do not violate the principles learned from form. Once we digest the principles, and we “own” the technique, our nervous system is wired to move from the center out and from the ground up, and produce maximal force to many directions, we can and should break away from form and apply techniques freely according to changing circumstances, as long as we don’t violate the underlying principles that we were supposed to learn by training the basic form and techniques. In application the same technique will be applied differently every time. Both your mind and movement should be formless and flowing, so one can become the opponent, and apply techniques without fighting the opponent’s power. At this level, whatever direction your intention is directed, the whole body will produce power effectively to that line. There is no thought of form, just breathing hits target and the muscles follow. But there are stages to get to this level. Form is necessary as it is a mean to learn movement and combat principles transmitted through many generations, while at the same time it is a limitation if one try to use the form as is. Be precise when you do kata, and be free and flowing when you do kumite (but without getting sloppy), the principles the kata teach us should be applied fully in kumite. Sensei Nishiyama told me that at the begining one should perform the kata precisely and rigidly, (rigidly does not mean stiff, but exact, without deviations). He compared it to a figure of clay that its shape cannot be changed, and as one master the underlying principles of the kata, he can make the kata his/her own, he can be free with the kata, and Sensei Nishiyama compared this to a lively, flexible doll, whose shape can be changed freely. And then again, when one teaches the kata to a beginner, teach it in the original, strict form as has been transmitted through many generations. Notice in pictures below: Techniques are as big as possible without exposing the center line of the body or disconnect body segments. Elbow moves minimally in Uke Waza. When elbow reaches full range, snap action starts (elbow extension and forearm twist) with elbow being action center. Protect center line and attack from center to center of opponent. Gedan Barai fist starts from shoulder and travels to opposite hip level, elbow moves minimally, and ends inside hip line. Gyagu Zuki from own center to opponent’s center, and in between do not show your center. Uchi Uke – fist travels from hip to opposite shoulder, at end, knuckles at shoulder level, elbow inside hip line. Area near the wrist is contact area. Shuto Uchi – Hand travel from ears, than elbow through the body, elbow stops in front of the body and serves as action center to the hand which travels in a curve to make side line energy, without over exposing the body center, or lose of unity. https://thetraditioncontinue.com/wp-content/uploads/2018/06/blog-art-nish.jpg 341 400 The tradition continue https://thetraditioncontinue.com/wp-content/uploads/2018/06/logo-redis.png The tradition continue2018-06-18 12:48:172018-07-10 15:59:00Form and Formless?